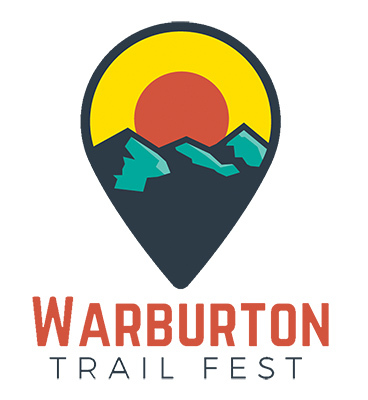 In only its second year, the Salomon Warburton Trail Fest is quickly becoming a seminal event on the trail and mountain running community calendar with its packed line up of not just trail runs, but also off-trail activities on offer to inspire and entertain, from live music and mountain films to seminar presentations. One of the primary attractions off-trail is the opportunity to meet and hear speak some of Australia’s most experienced and respected trail runners presenting on topics beyond just the running. This year, we are excited to announce that the two seminars to attend - one on the Saturday and one on the Sunday - will feature two of the rising stars of the singletrack pursuit: the multi talented, mountain-track-hurdle, self-confessed ‘nature geek’, and Salomon team runner, Simone Brick along with multiday adventure run specialist and youngest ever female to complete the gruelling 4Deserts stage race series (taking in the Atacama, Gobi, Sahara and Atacama deserts), the amazing Jacqui Bell. Both runners have been featured on covers of Down Under singletrack bible, Trail Run Mag, with articles in editions 27 and 28 respectively profiling their individual battles with mental health issues and how trail and adventure running became a key component in their lives fostering a return from the brink. SIMON BRICK will present a seminar titled ‘Psyched on Singletrack’, detailing her powerful insight into how she succumbed to, battled and with the help of trail running and ‘bush medicine’, is owning and overcoming her mental health issues. From being “shackled, sedated and beaten by the chains of anxiety, depression, anorexia and psychosis” all before the age of twenty, to rediscovering freedom and clarity amidst the wilderness, Simone will give a frank discussion on the stigma of mental health, and tips and tricks for discovering mental and physical wellness and balance via running and nature therapy. An engrossing seminar not to be missed. Simone will present at 3pm on Saturday 9th March. FOLLOW Simone on Instagram at @flying_brick13 and FB at @FlyingBrick13/. LISTEN to a great interview with Simone by Warby Trail Fest’s very own MCs the lads from Runner Chats. Check the interview HERE. Or go buy Edition 28 of Trail Run Mag! JACQUI BELL will present a seminar on Multiday Adventure Running, drawing on her journey to recently becoming the youngest ever female to complete the 4Deserts multiday running series (Atacama, Sahara, Gobi and Antarctica) against a backdrop of overcoming addiction and a near fatal accident. Jacqui will detail how she got into the multiday game, why it fascinates her more so than regular trail and ultra running, and what she’s learned to date in terms of preparation, gear and the mindset required to finish big adventure run beasts! She will take us through the depths of the challenges she faced in the desert, plus outline the new records she’s looking to set in trail running in the near future. Come her Sunday presentation, Jacqui will be only days off having run the 323km Alps to Ocean Ultra in New Zealand, so it will all be fresh and vivid for the storytelling! Jacqui will present at 3pm on Sunday 10th March. Or go buy Edition 29 of Trail Run Mag! All participants registered to run at least one event at Salomon Warburton Trail Fest can attend the seminars FREE as part of their race ticket fee. For non-runners, registrations to attend the seminars (and the film screening all inclusive) can be purchased via the event registration link as per a normal registration. All information regarding other activities and runs at Salomon Warburton Trail Fest can be seen on the event website. For details of seminar locations check the event website and/or competitor program closer to the date.